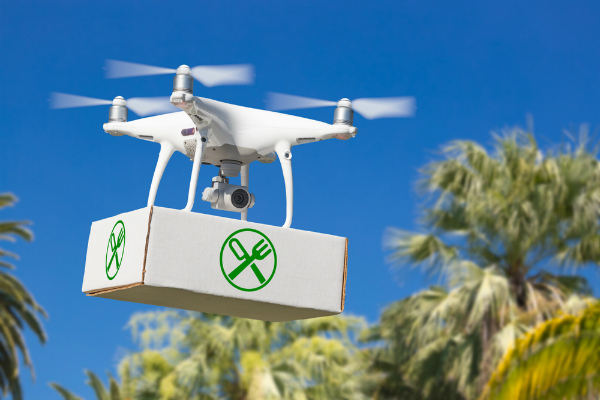 In late February 2018, food delivery drones were launched in Canberra with the full support of the ACT government. The American tech company responsible, Project Wing, is a sister company of Alphabet (the company that owns Google and X Development LLC), so it’s certainly understandable that the ACT government seized the opportunity. However, not all Bonython residents are happy about the trial with many objecting to the noise, the impact on native wildlife and the potential invasion of their privacy. Perhaps the biggest issue that has residents up in arms is the lack of consultation with the community prior to the trial starting. The privatisation of public space is a hot topic in Canberra, and residents are concerned that their communities are being irreversibly transformed. Some reports suggest that around 80 percent of Bonython residents oppose the drones and more than 500 people have signed a petition calling for drones to be banned from Bonython. Project Wing also claims that the noise of a drone is quieter than a truck making the same delivery and are confident that once people are familiar with the noise they will embrace the technology. There are plans to expand the drone delivery service with Wing setting up a warehouse in Mitchell. The suburbs of Gungahlin, Palmerston, Crace and Franklin are set to have drone deliveries rolled out to them. Total RPA Is Australia’s leading drone training and drone course specialist . We run drone training courses all over Australia and run a range of courses suitable for both commercial drone operators and drone enthusiasts.